Cattlemen are challenged to reduce costs, be more productive, and increase market share and profits. The first step to lowering the cost of production is to clearly determine total operating costs and identify those that need to decrease without affecting productivity. Identify areas of a beef cow herd needing change in order to fulfill management’s objectives. Determine a cow herds cost of production and its rate of return on investments. Development of regional cow-calf databases that can be analyzed and compared for the producer’s benefit. SPA is an analysis tool, not an accounting or production record system. The first objective of SPA is to determine the production and financial performance of the individual cow-calf enterprise. SPA helps identify potential areas for change and measures progress in meeting business objectives. The standardized analysis facilitates comparisons between production years, producers, production regions, and production systems. 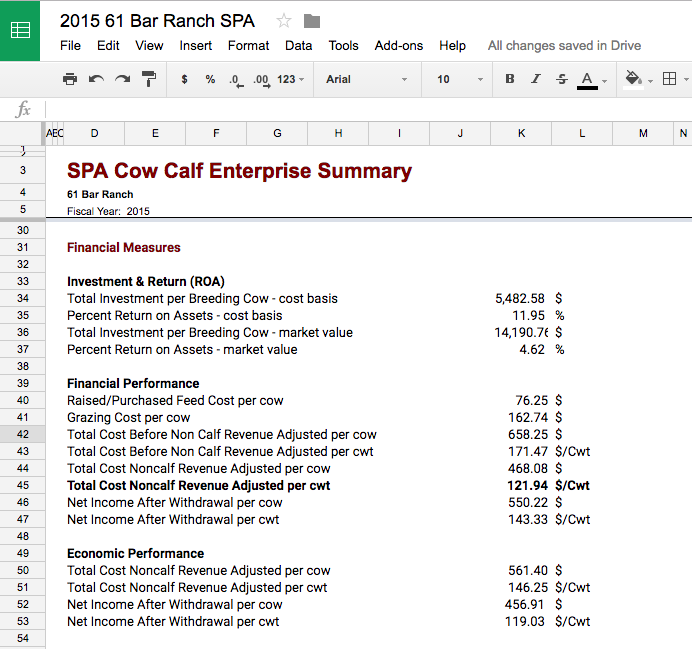 To implement SPA certain minimal data are required: 1) the fiscal year financial statements (the beginning and ending balance sheets and an income or profit and loss statement allocated to the cow-calf enterprise); 2) the farm or ranch depreciation schedule; and 3) the fiscal year IRS tax schedules. SPA software and support materials help in organizing and reporting the financial information. 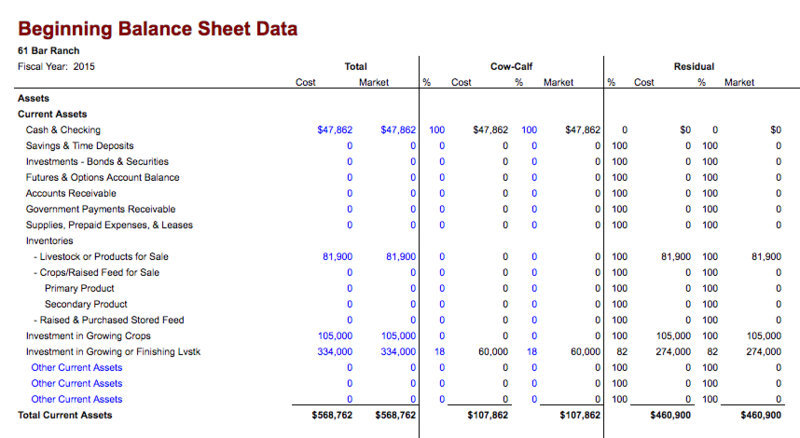 To calculate production performance measures, the producer must have additional data for the fiscal or tax year in which calves are weaned: 1) IRS tax and depreciation schedule; 2) loan payment schedules; 3) financial statements prepared for the business analysis and lenders; 4) cattle inventories and feed use; and 5) production records. Discover Your Total Unit Cost Today!